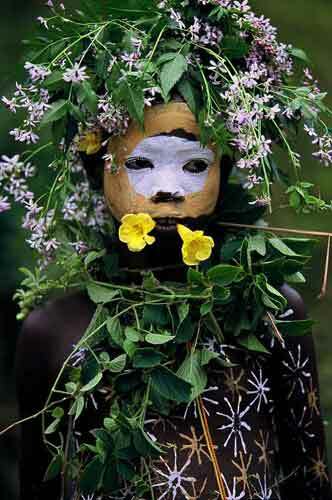 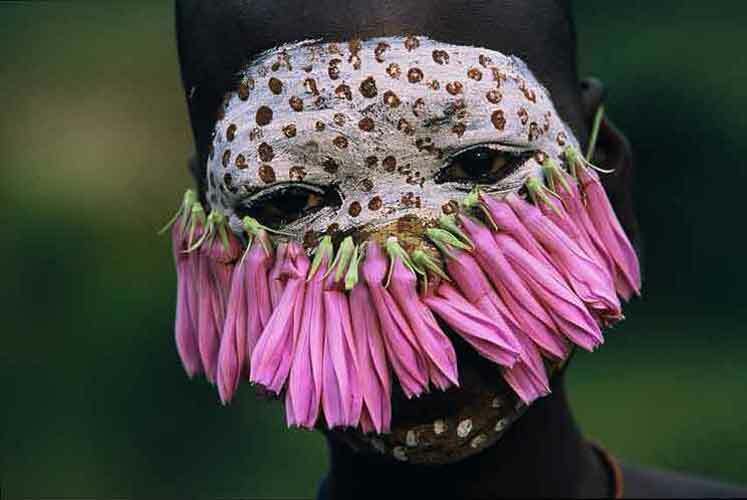 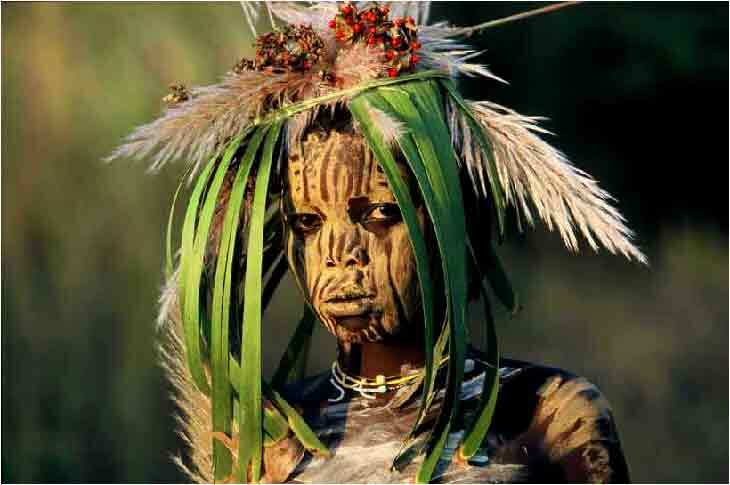 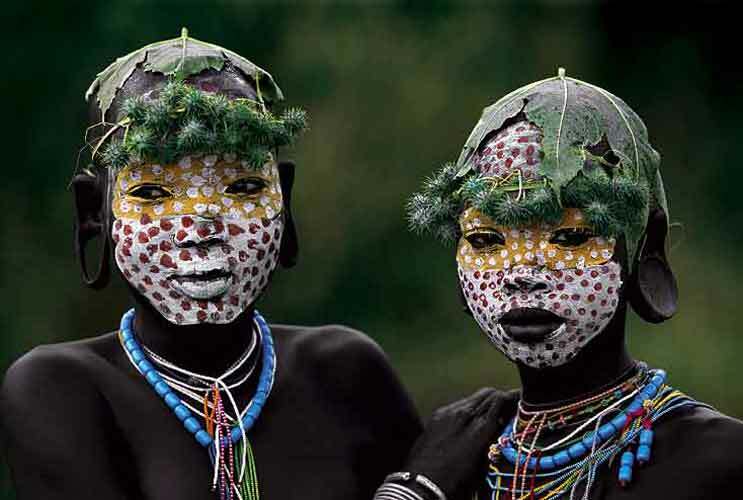 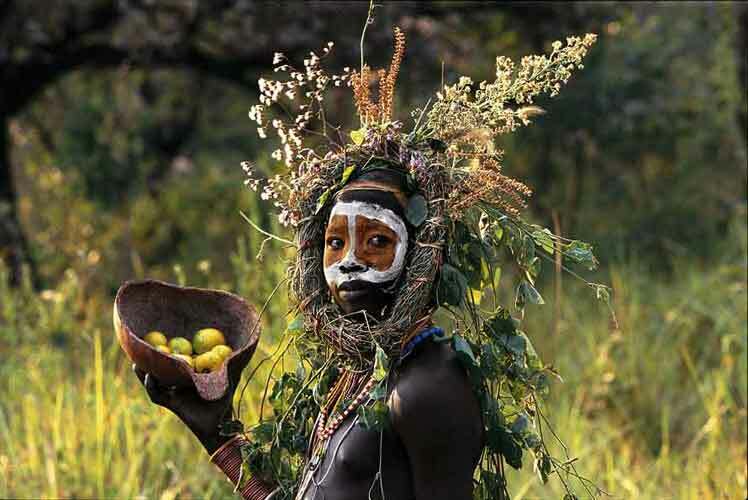 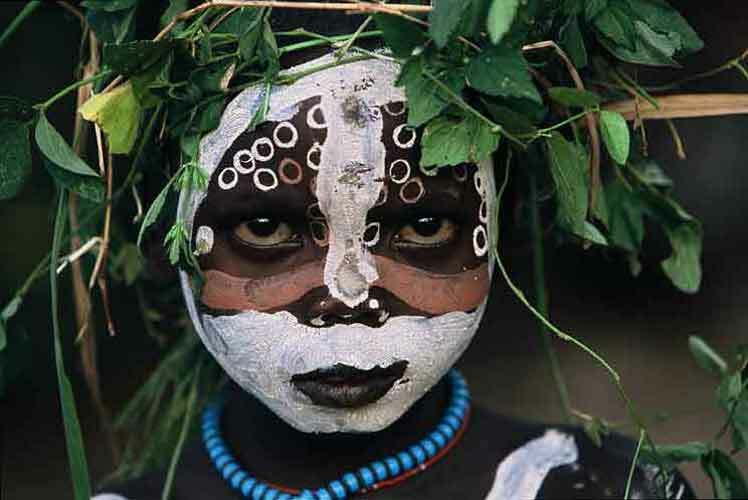 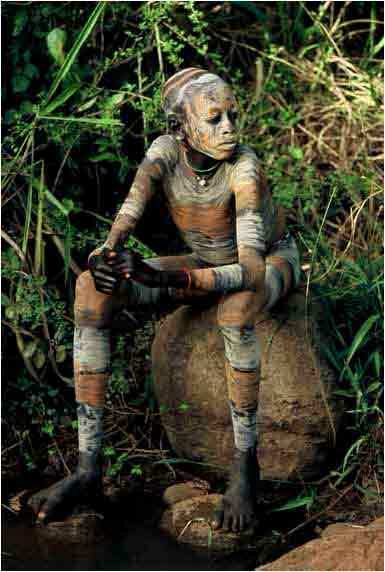 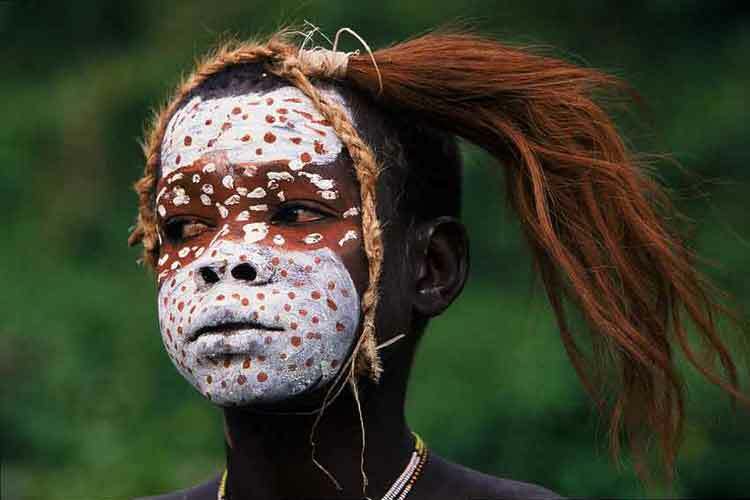 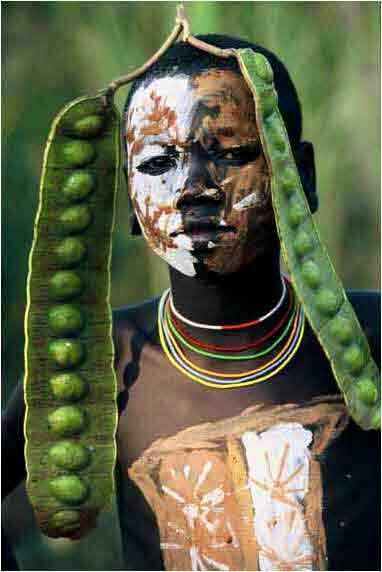 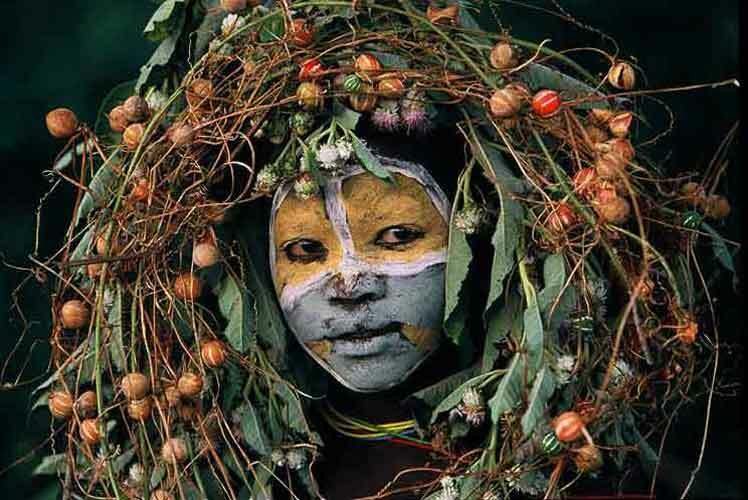 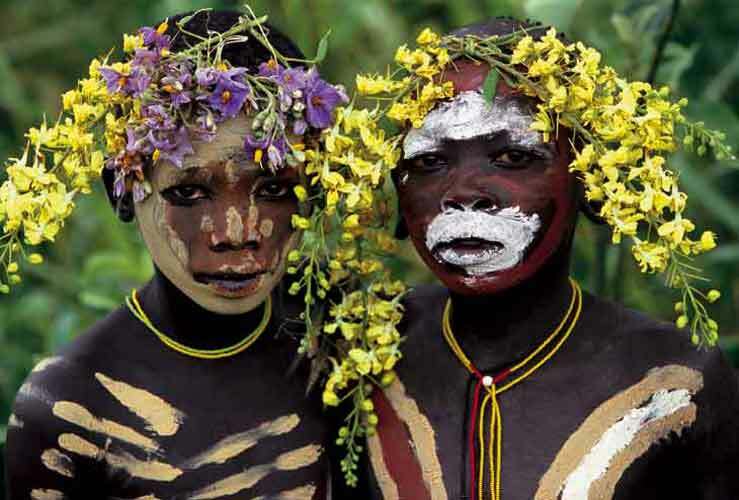 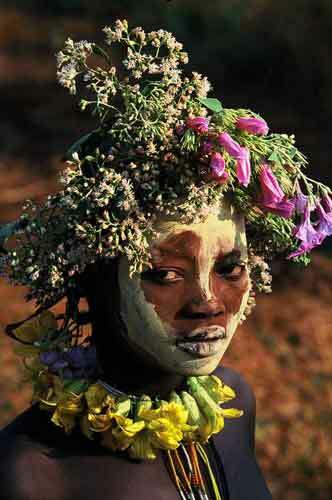 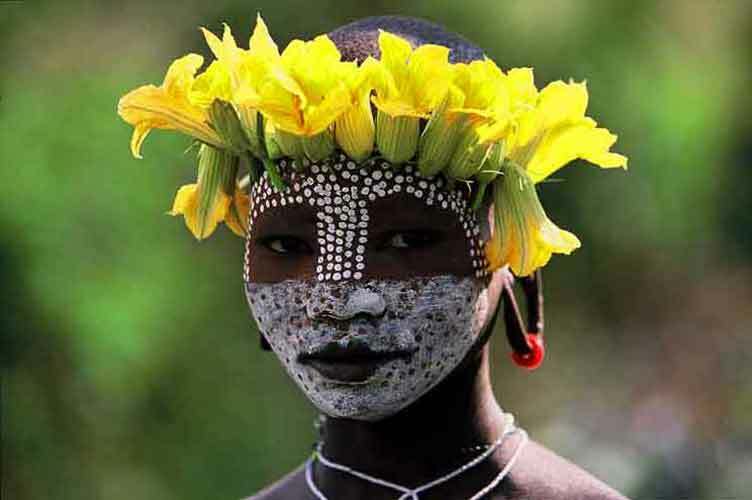 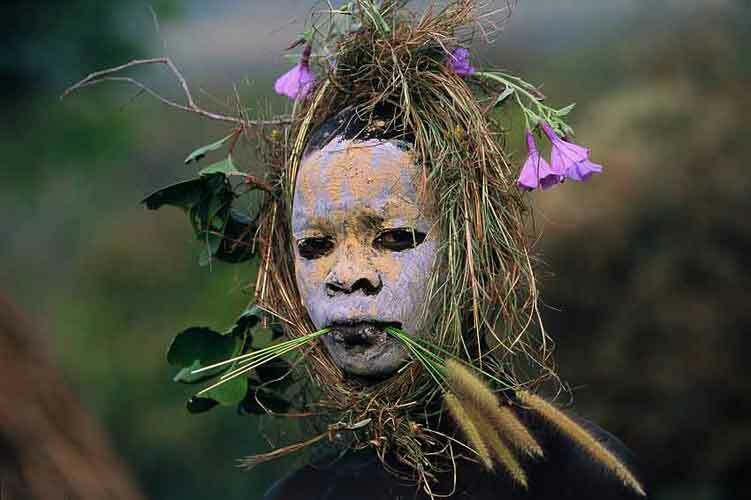 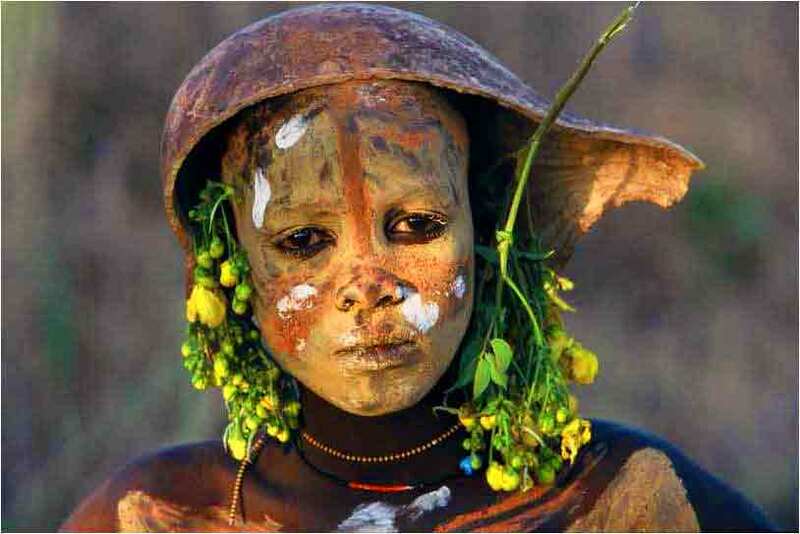 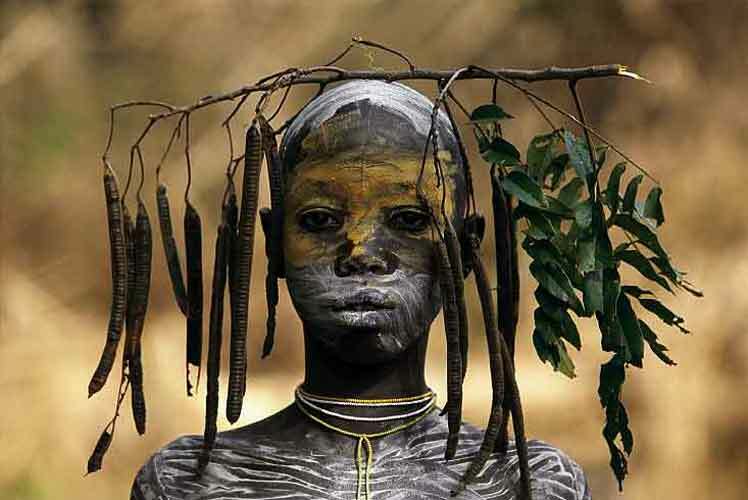 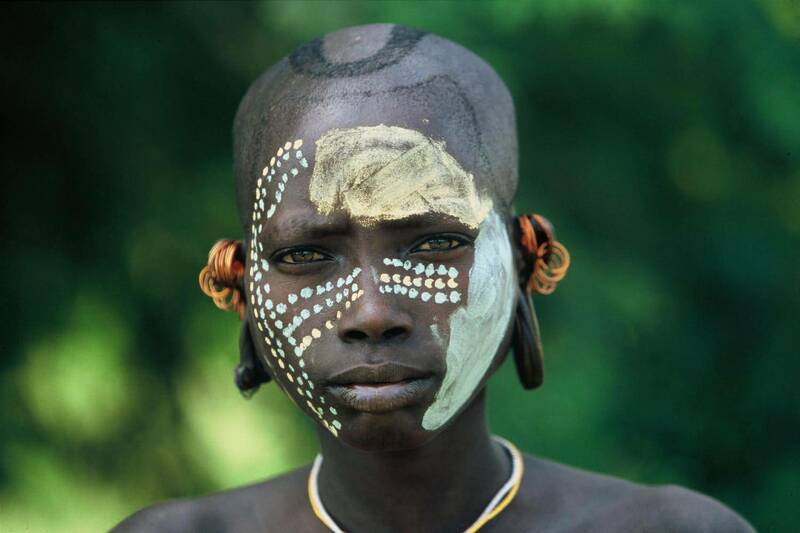 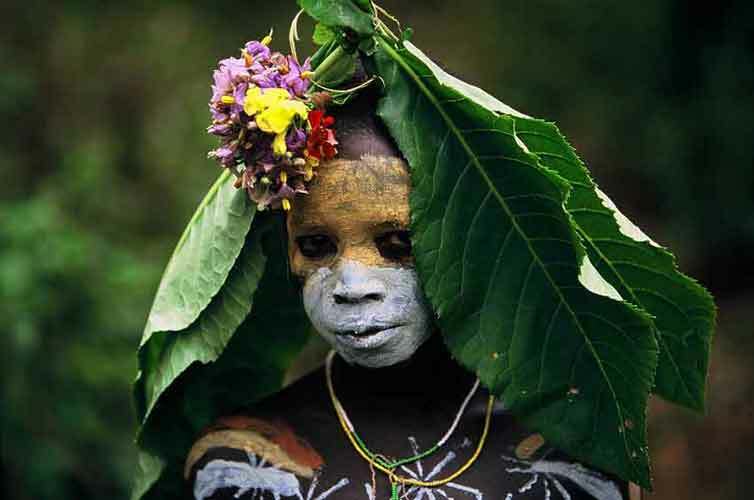 In the confines of Ethiopia in Africa, centuries away from modernity, Hans Sylvester photographed during six years the tribes where men, women, children, old people, are geniuses of an ancient art, body painting. 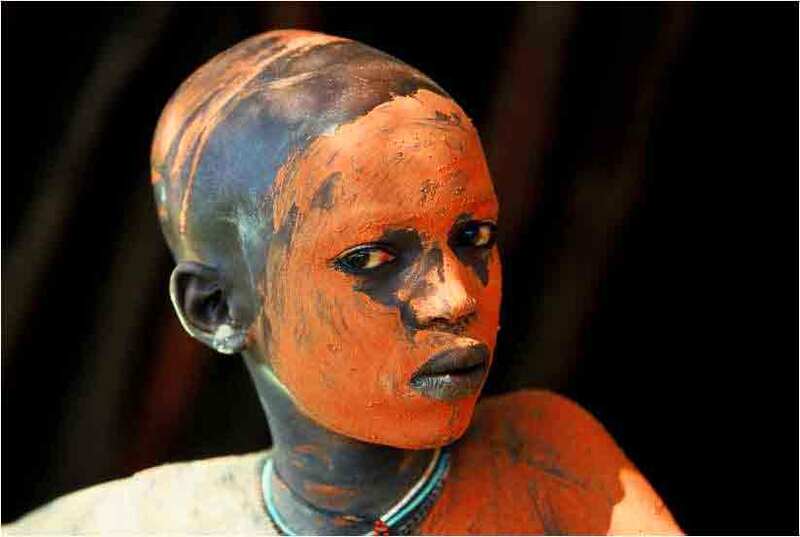 At their feet, the Omo river, astride a triangle on Ethiopia, Sudan and Kenya, the vast Rift Valley which slowly separates from Africa, a volcanic region which provides a vast range of pigments, red ochre, white kaolin, copper green, yellow or light gray ash. 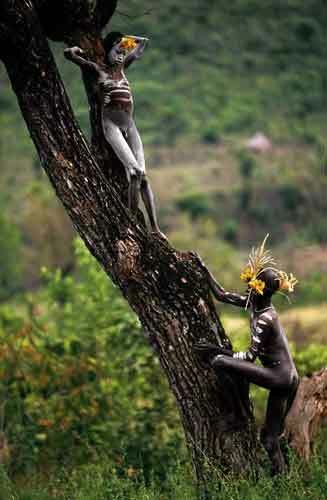 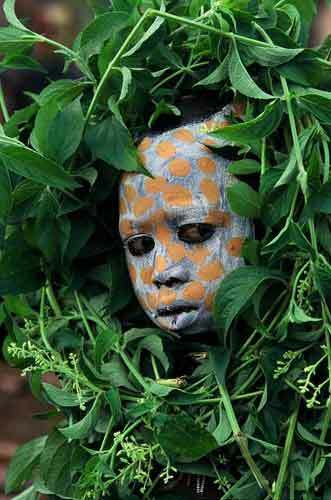 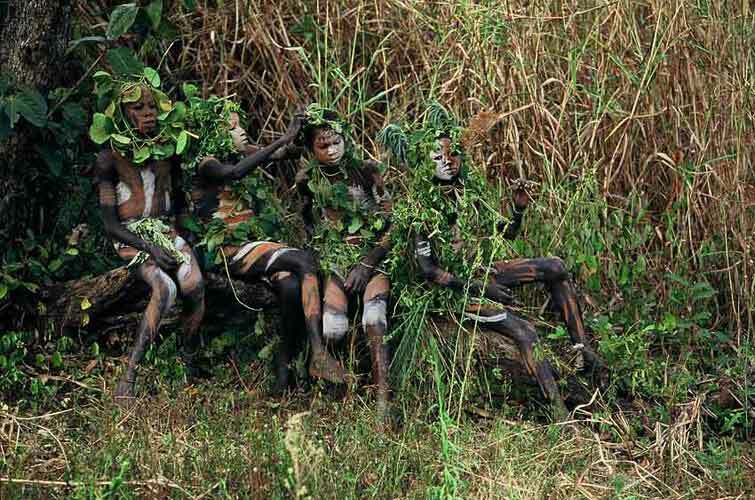 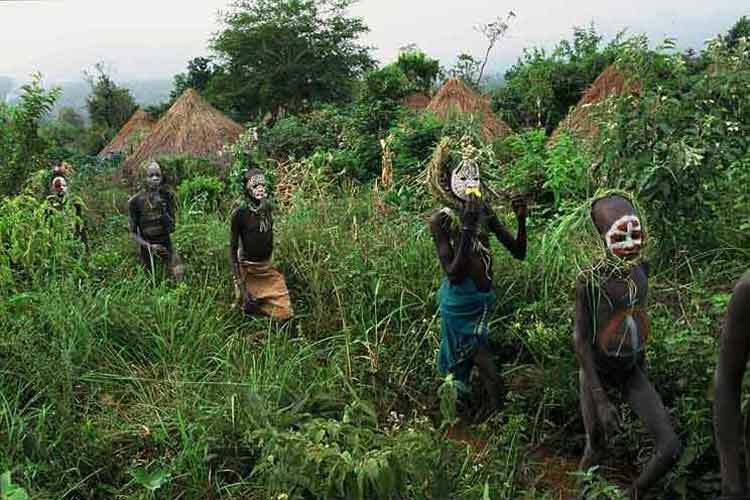 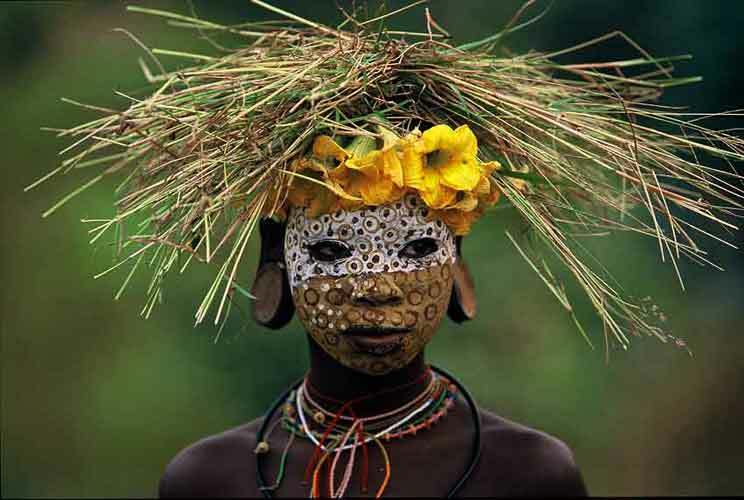 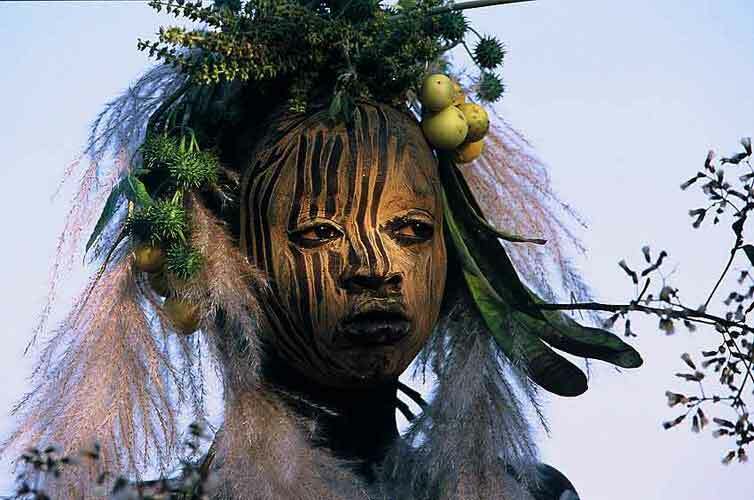 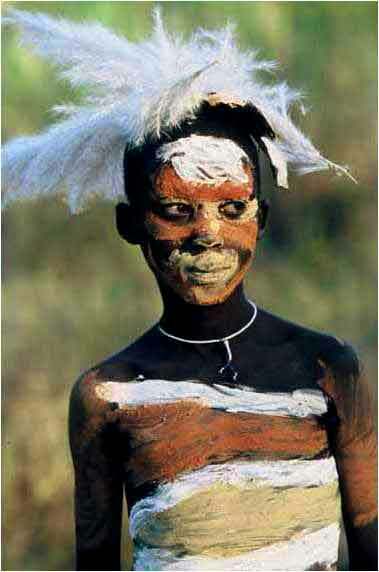 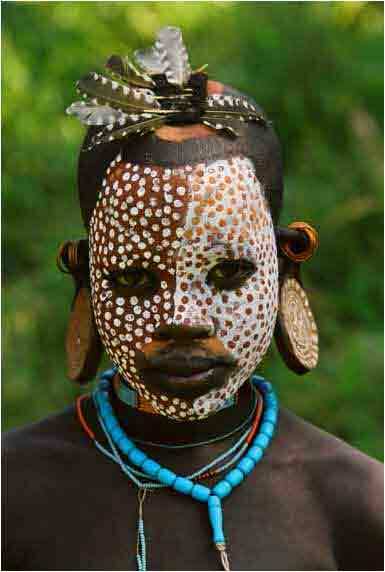 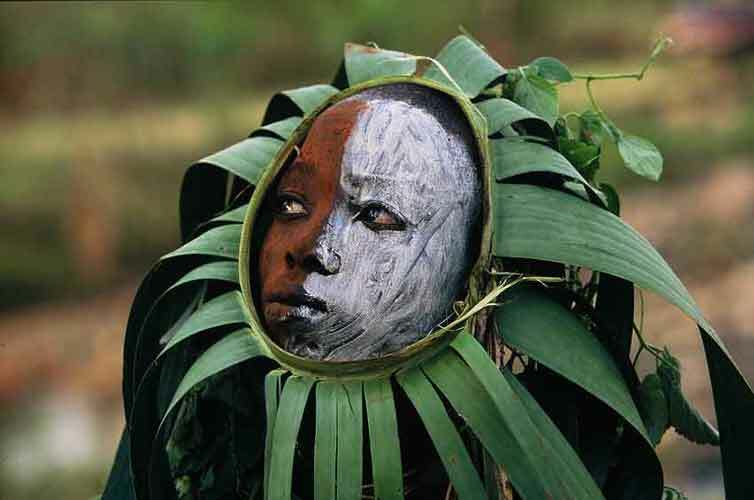 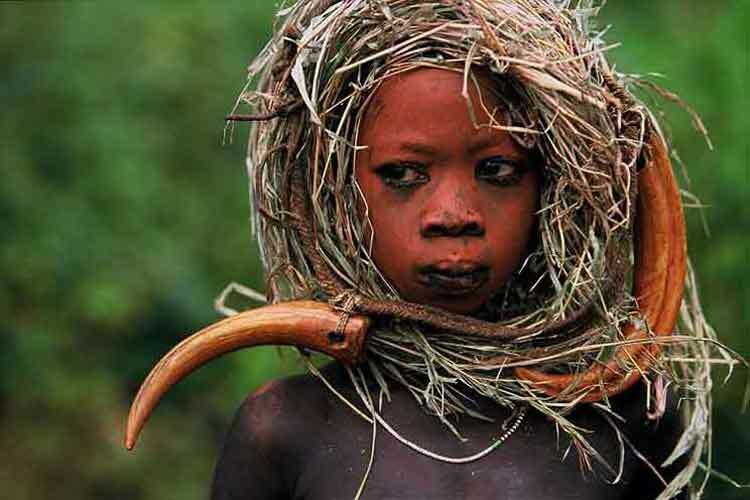 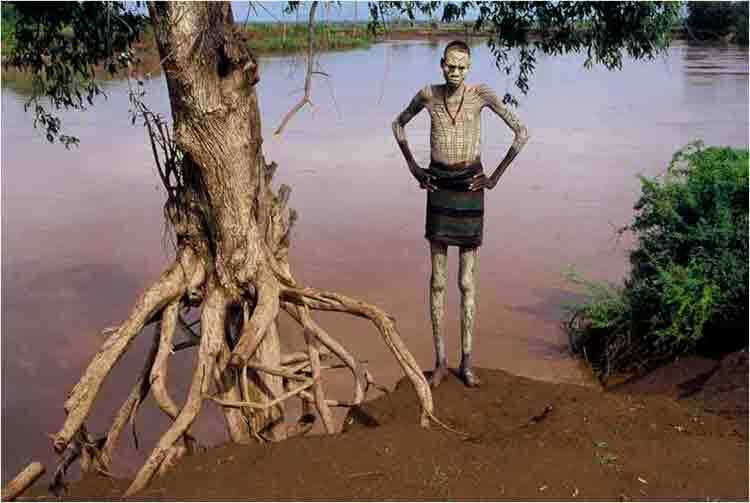 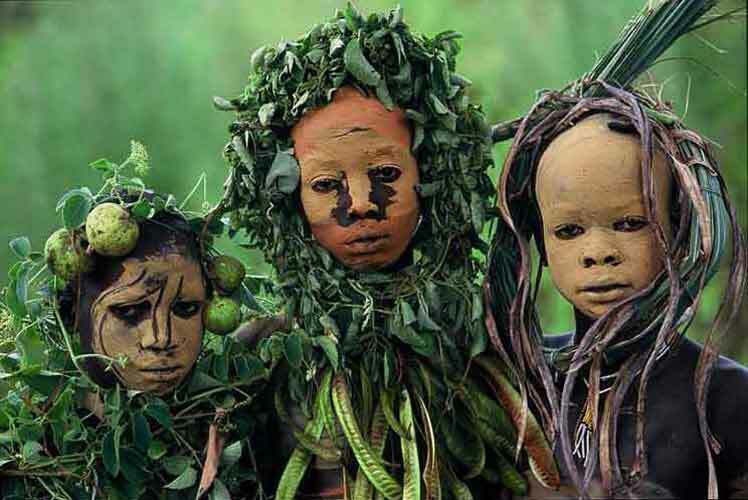 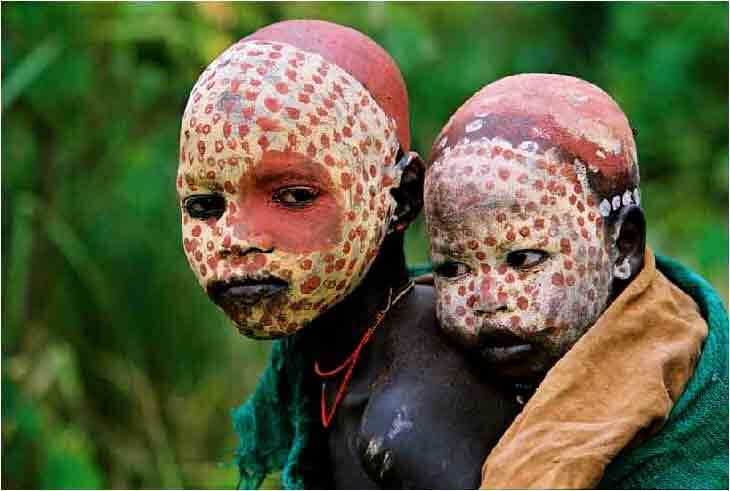 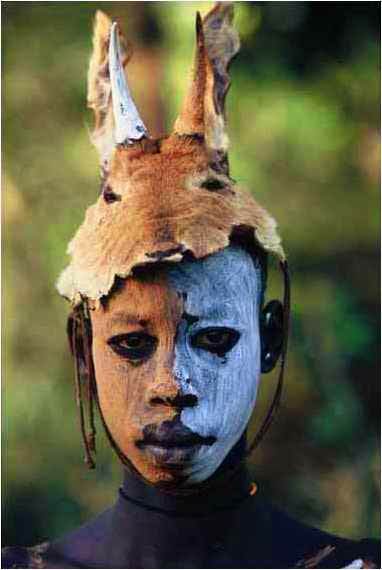 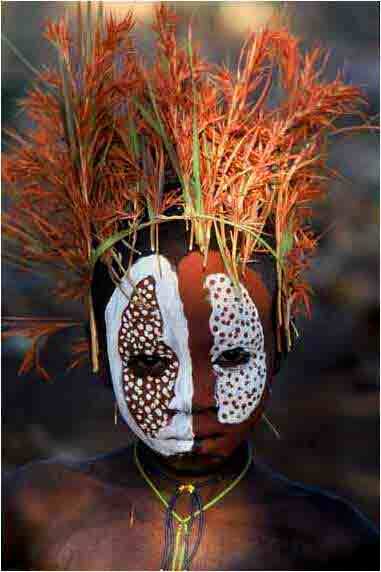 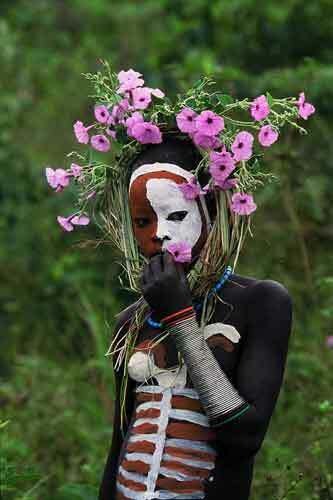 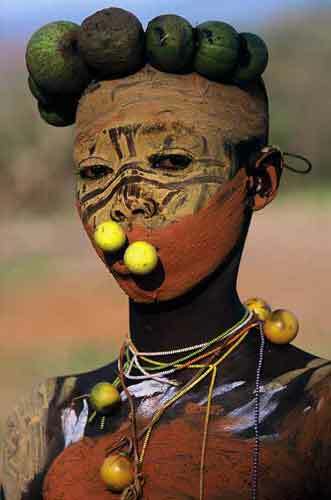 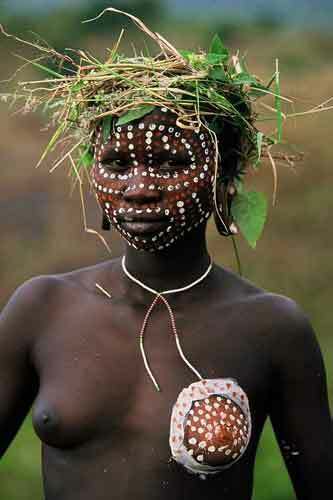 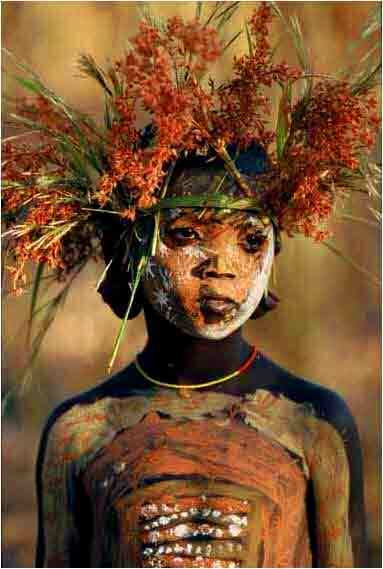 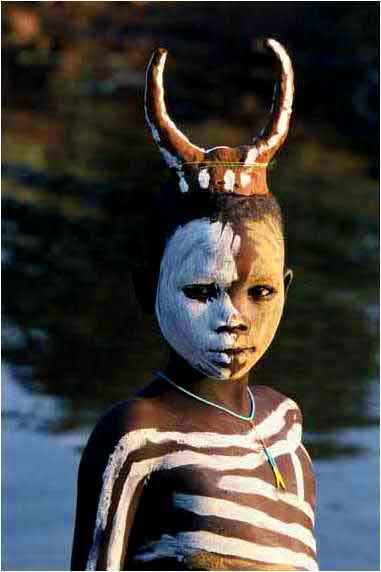 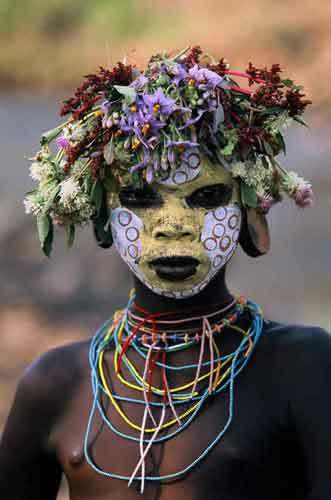 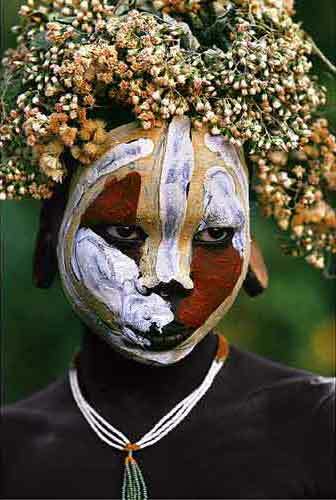 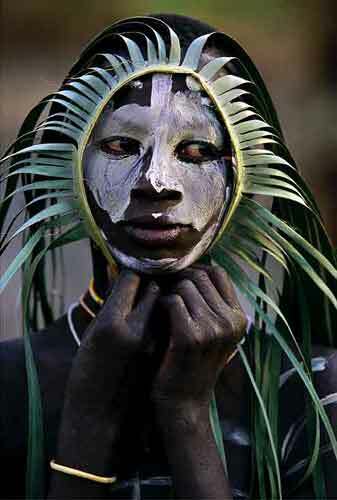 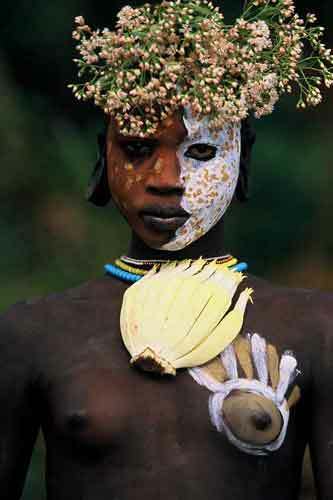 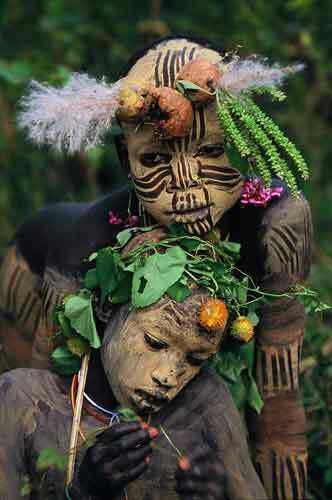 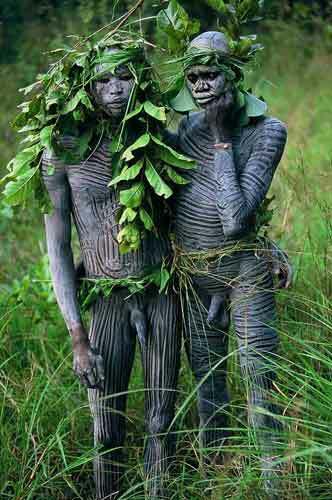 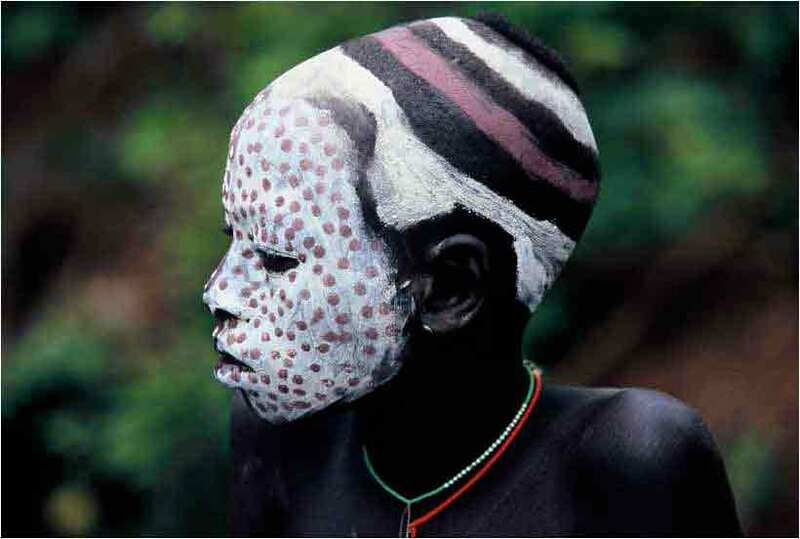 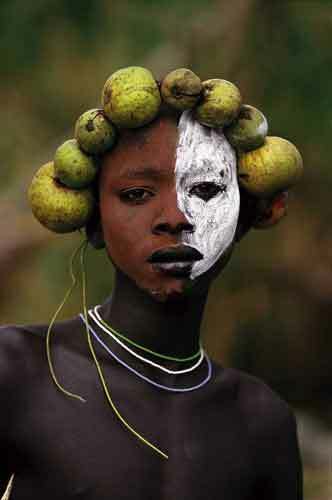 The Omo Tribes are genius of body painting, and their bodies of two metres high is a huge canvas. 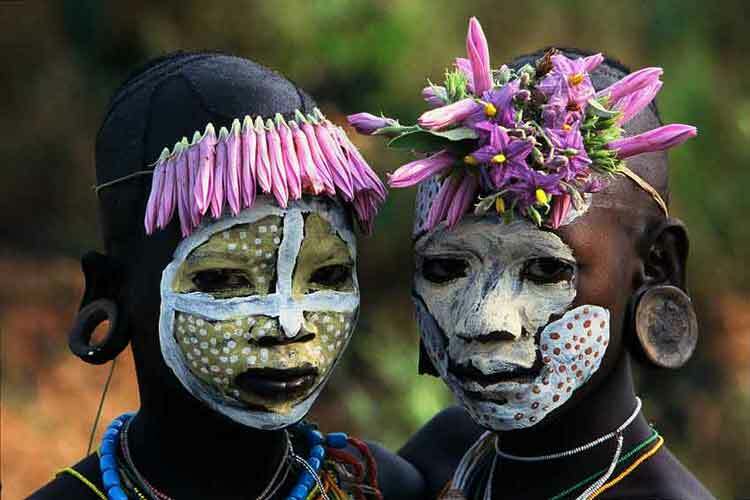 The strength of their art lies in three words: fingers, speed and freedom. 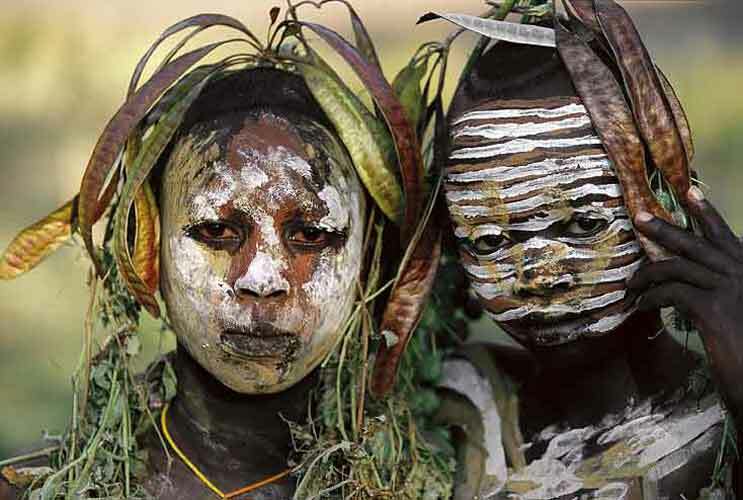 They draw open hands, the tip of nails, sometimes with a piece of wood, a reed, a crushed stem. 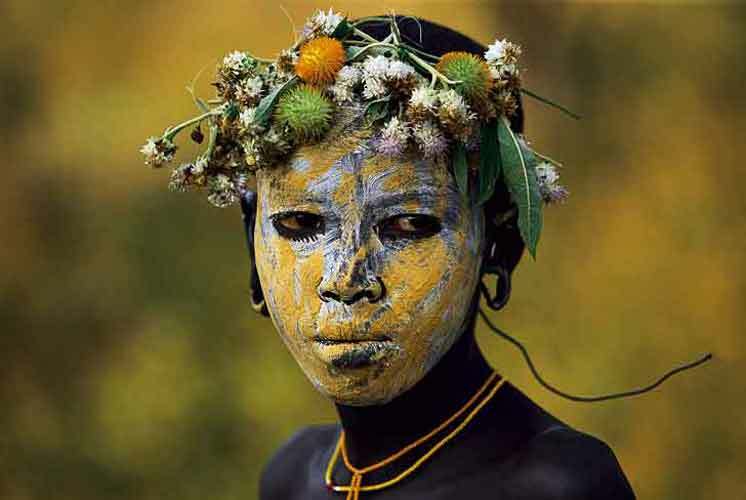 The lively gestures, rapid, spontaneous, beyond childhood, this essential movement that major contemporary masters seek when they learned a lot and try to forget everything.